Chalet Alexandre is located just behind the Place De Venosc. The ski access is decent, the nearest lift. Le Diable, is a short walk away (300m) and the main strip of bars, shops and restaurants is even closer (150m). 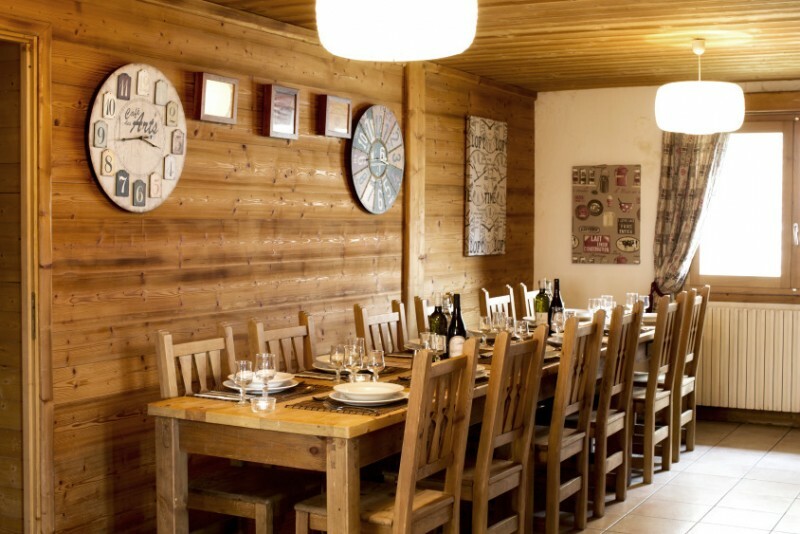 The chalet itself is traditionally furnished, rustic yet comfortable. 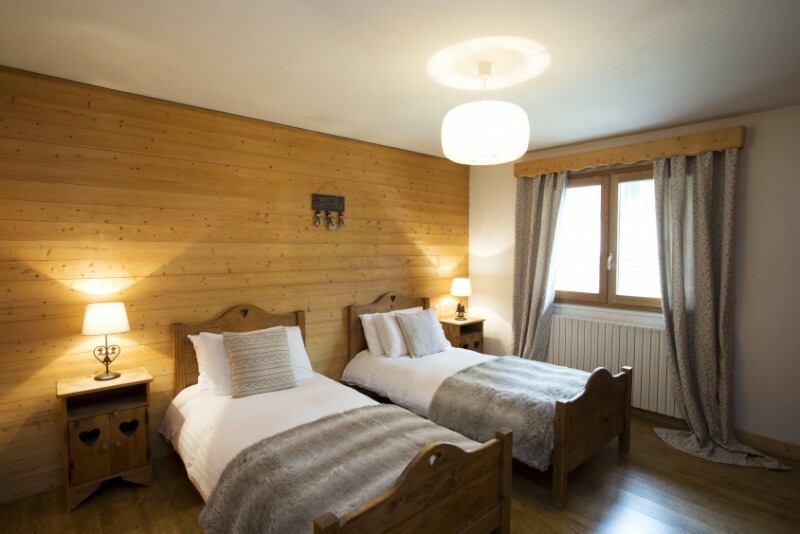 Most of the bedrooms have their own en suite bathrooms, the open plan living and dining area has a 42 inch LCD TV, there is a ski and boot room and a sauna too. Rooms: Sleeps 14-18 people. All rooms en-suite. Ground Floor: Ski and boot room. Sauna with shower. Two four bedded rooms, one with twin beds and a set of bunks and one with double bed and bunks. Beds are in sleeping areas separated by an archway, both have ensuite shower and wc. These rooms carry a supplement when occupied by just 2 people. One further twin bedroom with en-suite bath and wc at a supplement. First Floor: One twin room with en-suite shower and wc. Open plan lounge with 42″ LCD TV, DVD, stereo, and dining area. Free Wi-Fi. Second Floor: Three eaves bedrooms, two with twin beds, one with a double. All three have ensuite shower and wc and ample headroom. 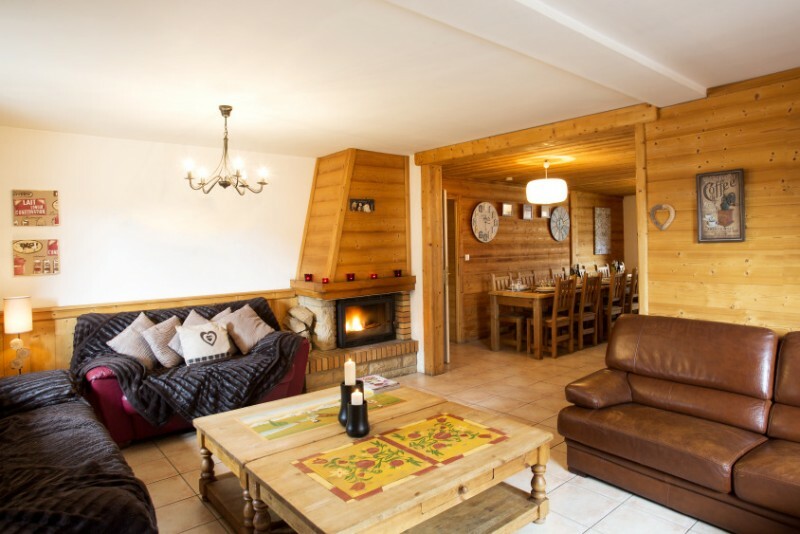 A good chalet in a decent location. Excellent value for money.